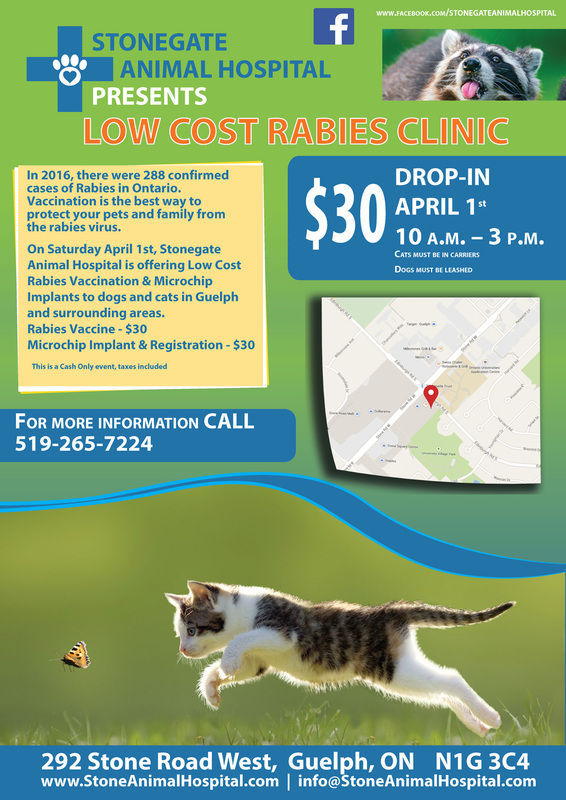 On Saturday April 1, Stonegate Animal Hospital is offering rabies vaccination and microchip implants to dogs and cats in Guelph and surrounding areas. A rabies vaccine is $30 and a microchip implant/registration is also $30. This is a cash only event. Taxes are included. For more information call 519-265-7224.